Las Vegas is a city that is constantly growing and changing. Once known for its dazzling array of bright twinkling lights, and themed hotel casino resorts, the current building trend is modern, sleek, and sophisticated. 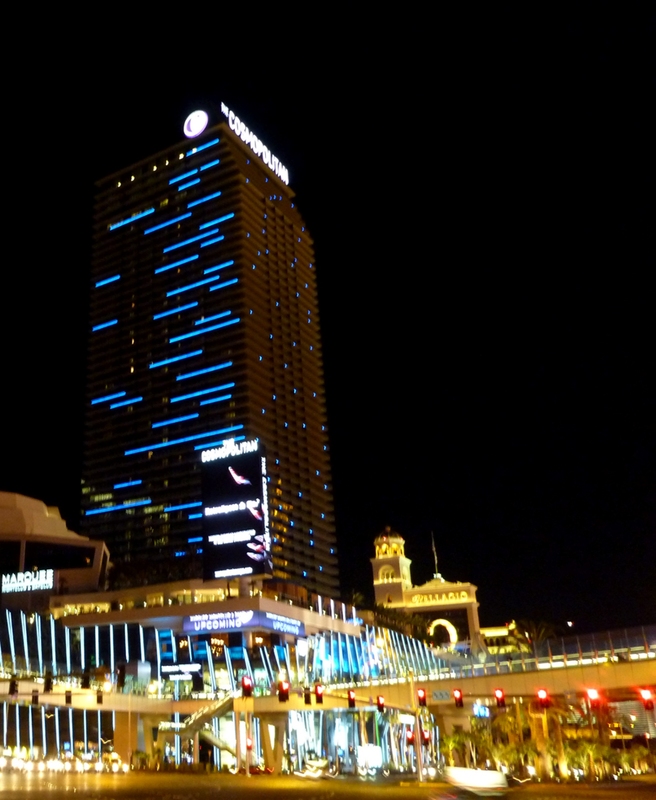 The Cosmopolitan Hotel Casino Resort is the perfect example of this new trend. Located between the New City Center and the Bellagio on Las Vegas Boulevard, the outside of the building looks as if it could be located in any big city. One could easily picture the Cosmopolitan in Los Angeles, San Francisco, or New York. The lights on the Las Vegas Strip seem to be dimming along the Strip, but once inside these new buildings, a sparkling new elegance is revealed. 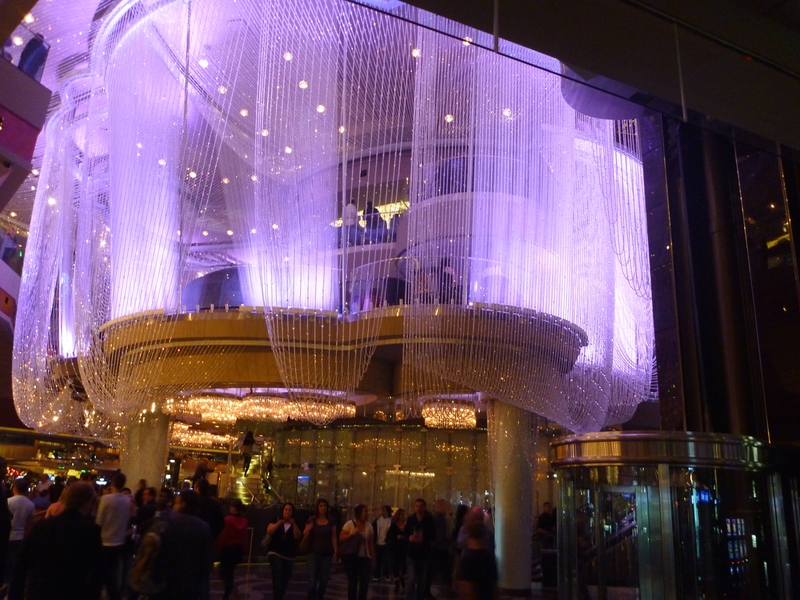 The Chandelier Bar, at the Cosmopolitan, is elegantly draped with crystals and is a sight to behold. 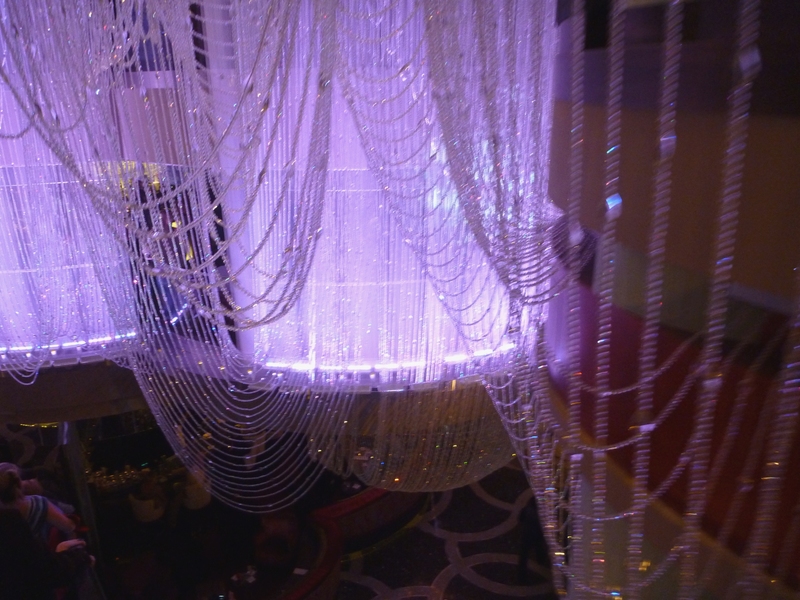 Visitors, at the Chandelier Bar, actually sit inside a huge chandelier, which is really an oversized petal shaped room. Individual crystal beads have been strung together, replicating strands on a necklace. The overall effect of the Chandelier Bar is breathtakingly Vegas. Lucky Little Travelers, www.luckylittletravelers.com, is a new website dedicated to family travel. We’ve information on family friendly destinations, travel tips, maps, & printable packing checklists for children. We are currently growing, if you don’t find what you are looking for, please check back with us. This entry was posted in Children Travel, las vegas, las vegas food on the strip, las vegas vacation with children, luckylittletravelers, Uncategorized and tagged Chandelier Bar Cosmopolitan Hotel Casino Resort Las Vegas, the new las vegas. Bookmark the permalink.